With an idea to save your priceless moments in life, we put our hearts into this to create these special little figures for you. 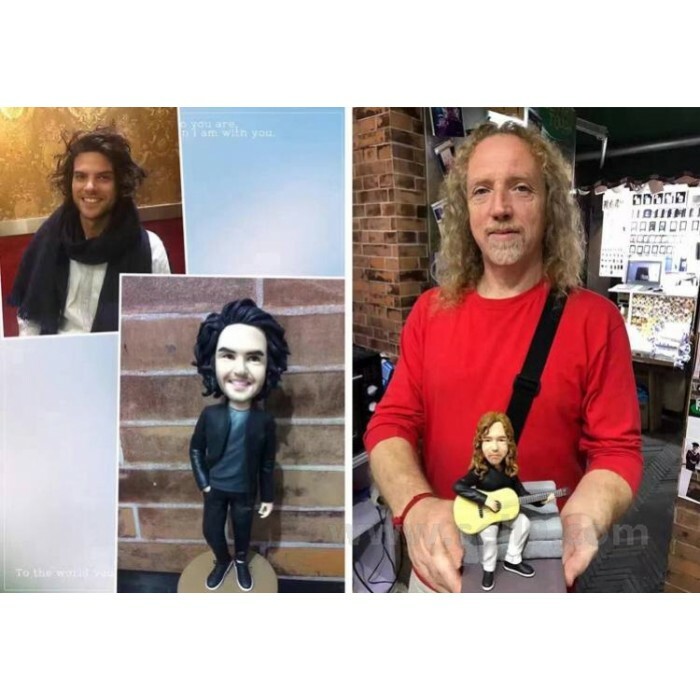 Based on the photos of you or your loved one, these figures are especially designed and handcrafted to become cute little unique gifts, decor items or cake toppers. The custom figure is based on your every single detail, all are handmade, no molding. Therefore, your figure will have your typical details such as your face, your body shape, your pose, your outfits, your shoes, your accessories and more. What's more, you can upload your photo and other figures you want, we can combine the head with the figures body, if you want, we can make the background for you also, the price can be talked. The default height is 8.7" (22cm). Contact us for processing time to make sure you will get your figure on time. It takes about a week to finish an order of 1 or 2 figures. It may take longer if we have advanced reserved orders. Send your favorite photos of your face, your pose, your outfit, your make up, and your accessories. The photo of your face should be facing in straight forward with good lighting. The photo of your side view is optional but it is really helpful during the process. After confirmation, these photos will be used for the final appearance of the figure. If you want to change anything that is different from your provided photos, we cannot guarantee to do it. However, we will try our best and let you know if it is possible. We will send you the review photos during progress to make sure you are happy with the product. Therefore, please often check your message.